Jim Dinning is a home-grown Albertan with an extensive background in both government and business. We could not have a Chairman of our Board with much more experience than Jim. His background as a Chairman spans many years and industries. Jim started his career in public service, rising to become the government’s youngest Deputy Minister in Federal and Intergovernmental Affairs in 1984. He held several key positions during his eleven years as a Member of the Legislative Assembly in Alberta, including Provincial Treasurer from 1992 to 1997. 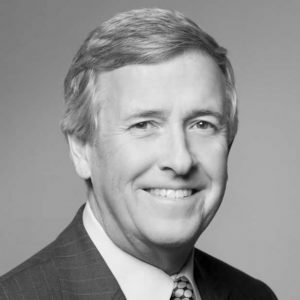 Beginning his business career as a senior executive with TransAlta, he has served on various boards of both private and public companies, foundations and trusts. Mr. Dinning is a Member of the Order of Canada and a Fellow of the Institute of Corporate Directors. He is Chancellor Emeritus of the University of Calgary following his tenure as Chancellor from 2010 to 2014. He is past Chair of the Canada West Foundation, and today serves as a director of the Muttart Foundation and a trustee with the Killam Trusts. Jim’s pride and joy are his wife Evelyn and his four children and ever-growing number of grandchildren. Eleven years as a member of the Legislative Assembly of Alberta. Awarded an honorary doctor of laws degree from the University of Calgary. Chairman of the Board – Russel Metals Inc. (2003 – present). Chairman of the Board – Western Financial Group Inc. (2005 – 2017). Chairman of the Board – Liquor Stores North America Ltd. (2014 – 2017). Director – Oncolytics Biotech Inc (2004 – 2016). Chairman of the Board – Export Development Canada (2007 – 2013). Director – Parkland Fuel Corp (2004 – 2014). Chairman of the Board – Bronco Energy Ltd. (2009 – 2010). Director – Finning International Inc. (1997 – 2007). Director – Shaw Communications Inc. (1997 – 2008). Bachelor of Commerce and Master’s in public administration – Queen’s University. Provincial Treasurer of Alberta 1992 – 1997.